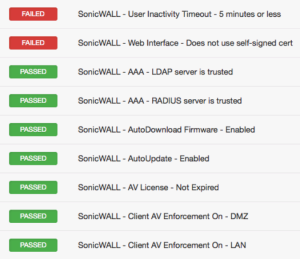 The SonicWALL SonicOS audit includes checks the SSL configuration, password policy, banner configuration, administrative access ports, inactivity timeout setting, flood protection setting, client AV enforcement policy, logging & audit settings, enabled security services, gateway anti-virus configuration, authorization & authentication settings, and intrusion prevention service configuration. 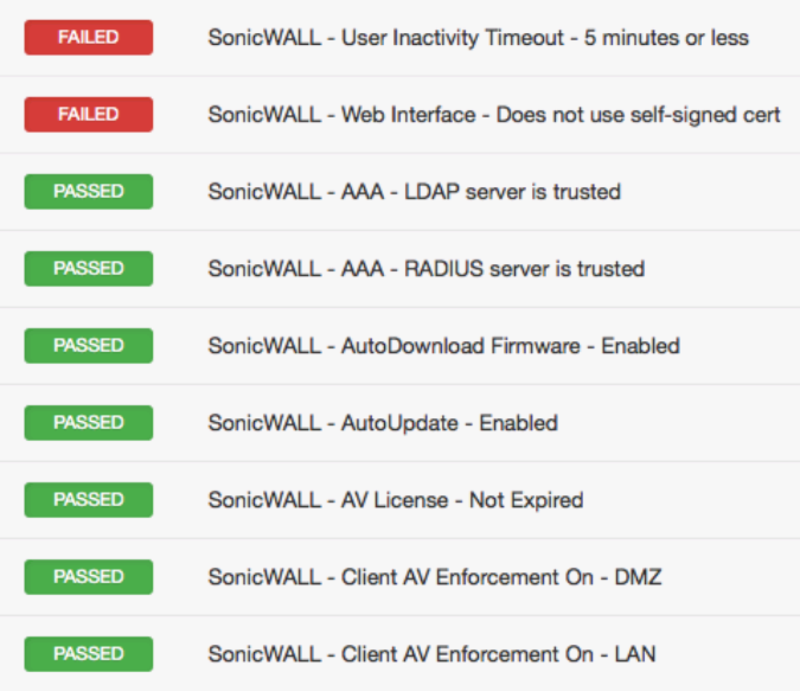 Tip: The SSH implementation on SonicWall may be unreliable at times based on extensive testing. If the SSH API fails during an audit, Tenable recommends that you use the offline config audit method.